As part of the Weekend Specials, the seminar “Architecture in Translation: The Mediation of Social and Urban Spaces” set out to explore translation in architecture from a number of angles. 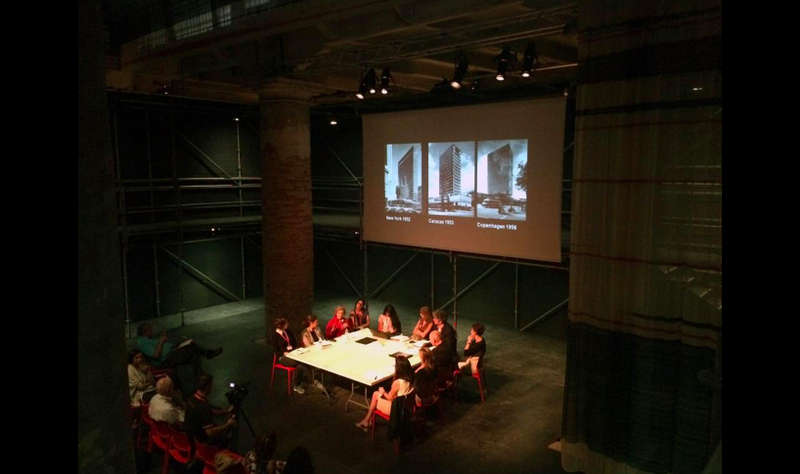 Sherry Simon, Shumi Bose, Gro Bonesmo, Anna Andersen, Marina Lathouri, Roberta Marcaccio, Mari Lending, and Joan Ockman presented, ending with a roundtable with Rem Koolhaas, director of the 14th International Architecture Exhibition of la Biennale di Venezia. Originally posted Oct 1, 2014. Latest revision Sep 2, 2017.